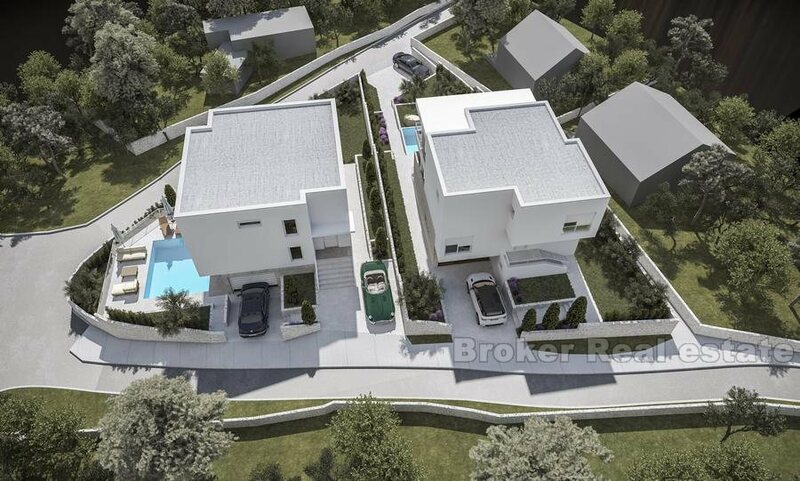 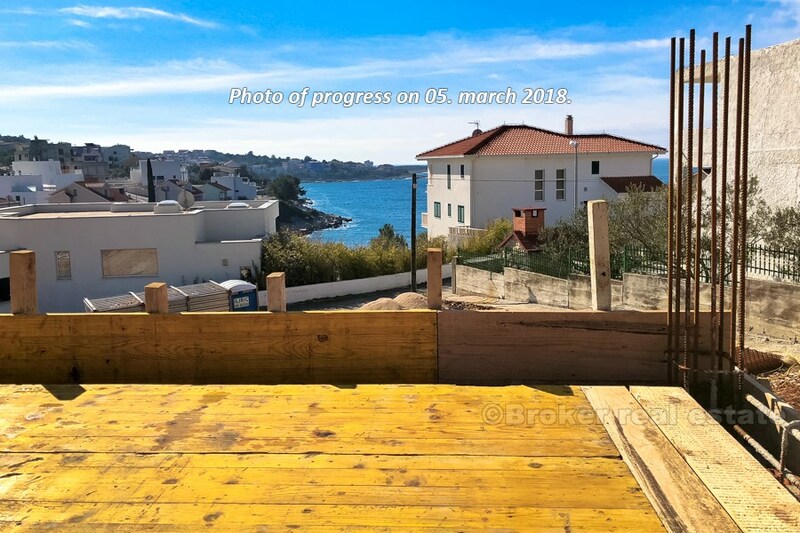 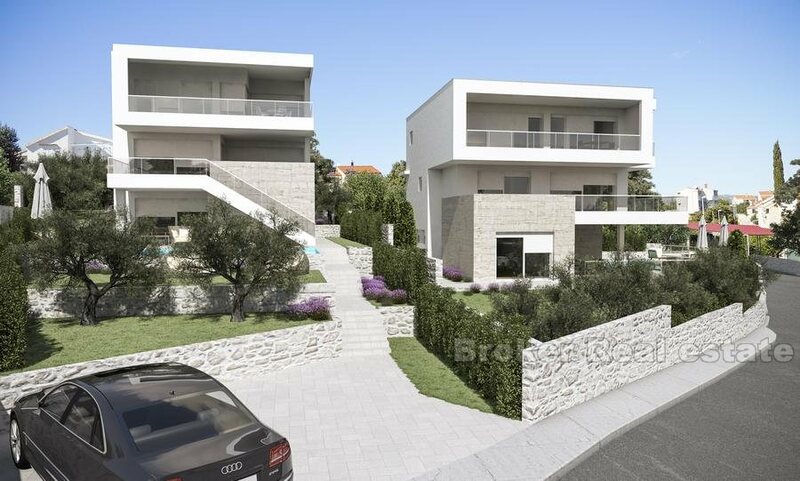 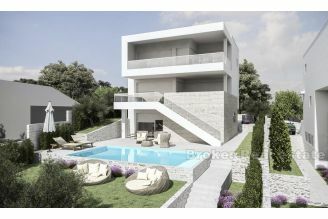 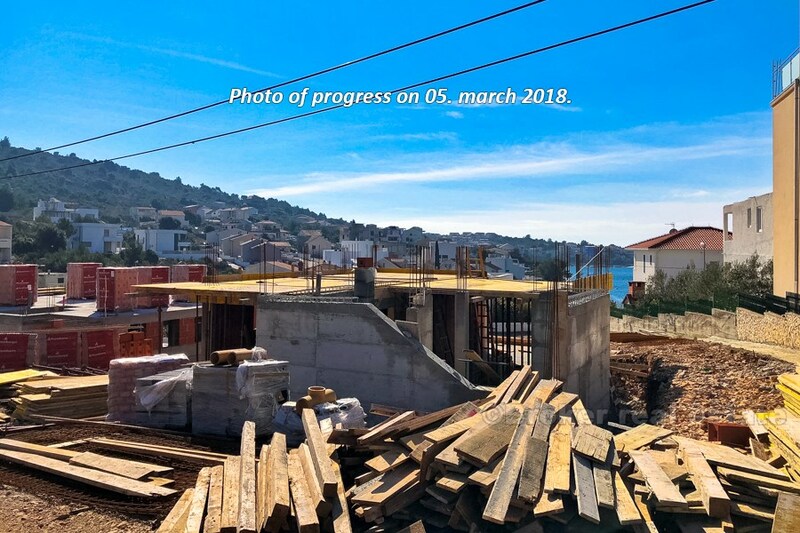 This modern villa, situated at an excellent location, deep in the bay, only 50 meters from the crystal clear sea, with open sea views. 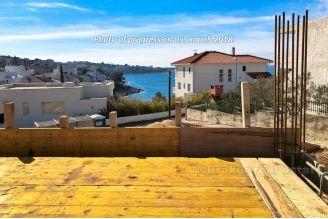 Bay is completely protected from the wind, which could be important for boat owners. 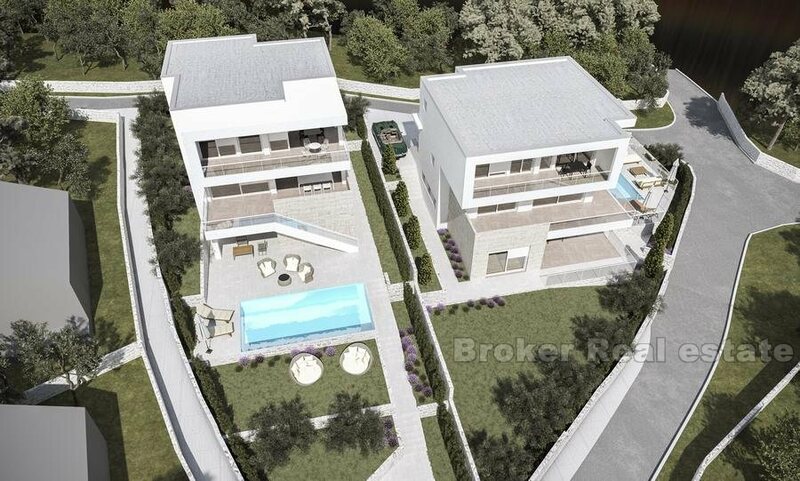 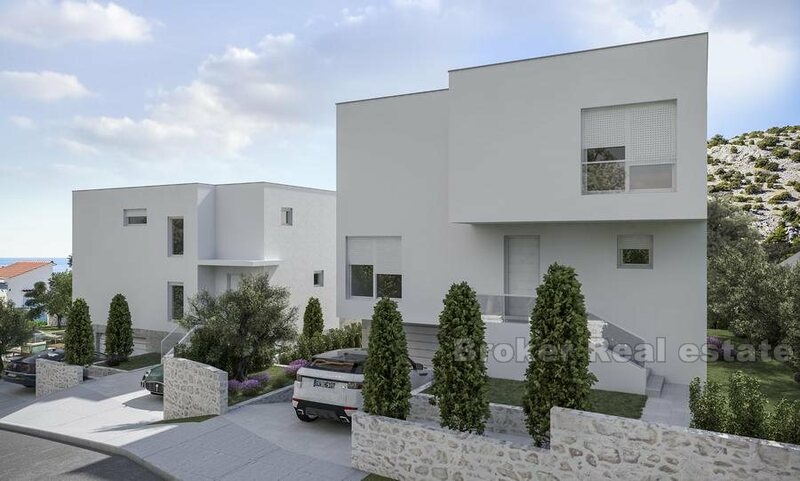 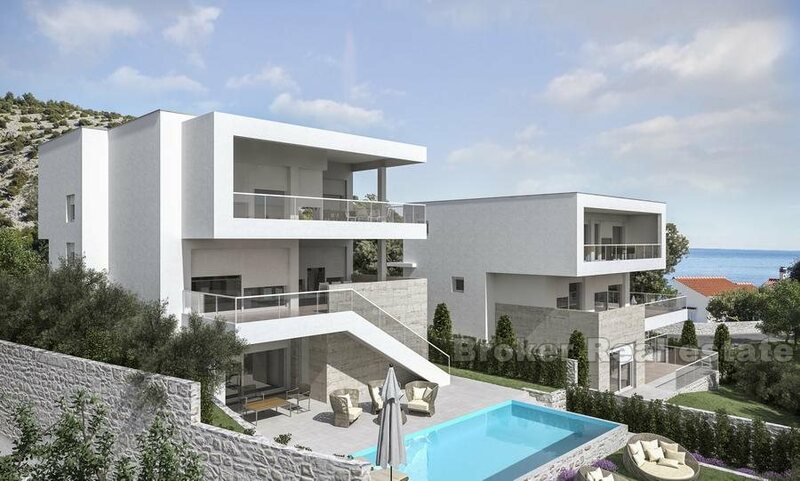 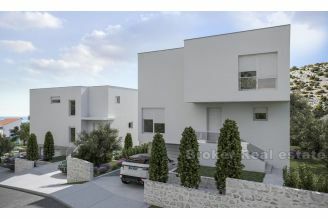 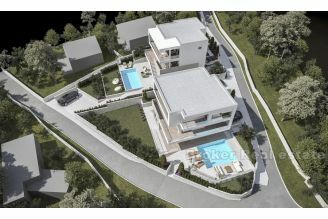 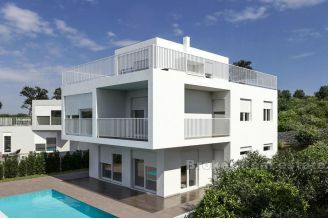 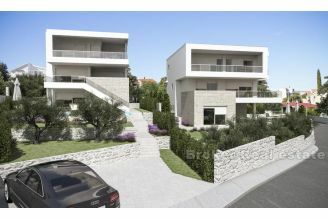 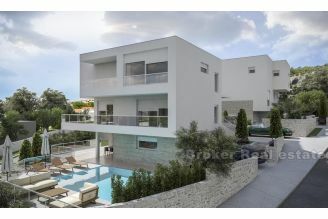 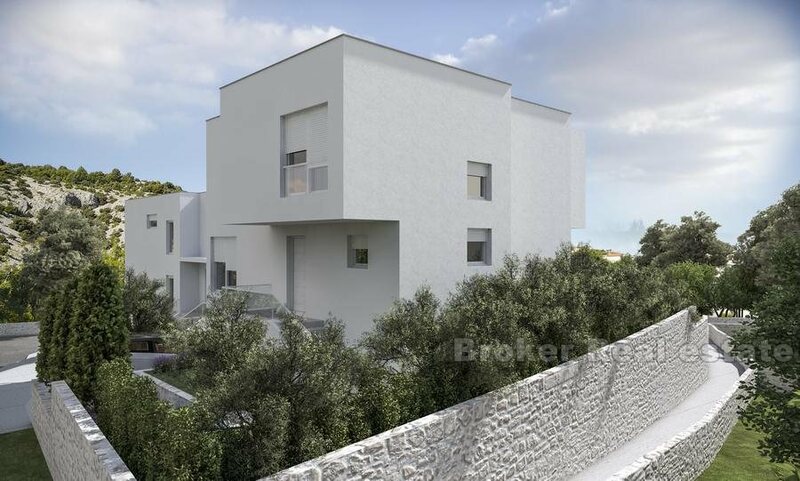 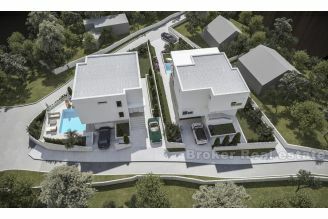 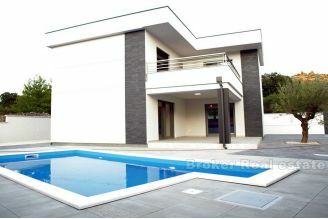 Villa, modern architecture, with total living area of 220 m2, consist of 3 floors. 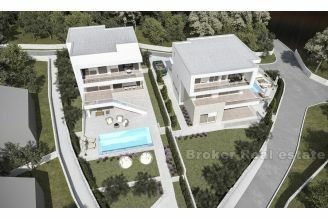 Ground floor - hallway, storage / boiler room, garage, laundry room, bathroom, summer kitchen, terrace and a pool. 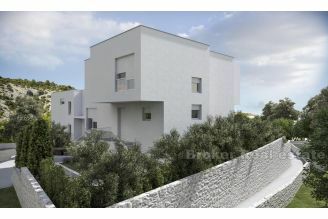 First floor - hallway, bathroom, kitchen, living area, dinning area, terrace with fascinating sea views. 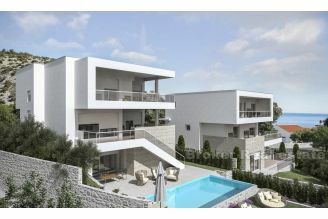 Second floor - consist of four bedrooms, two bathrooms, wardrobe room, and also terrace with fascinating sea views. 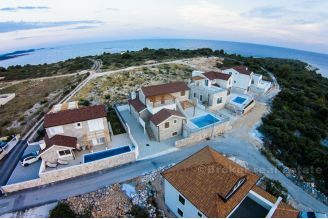 Airport Split is 30 km away. 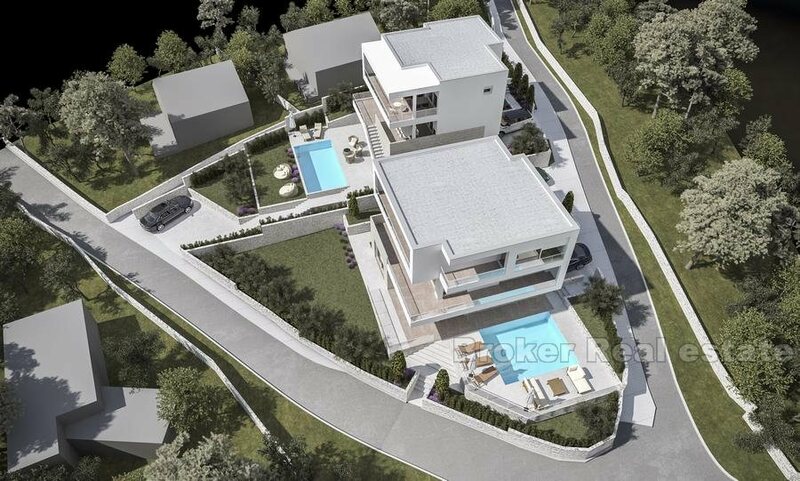 Villa will be finished till end of 2017.